Now you can 3D print custom manufacturing tools in ASA, PC and brand new Nylon 6 thermoplastic. 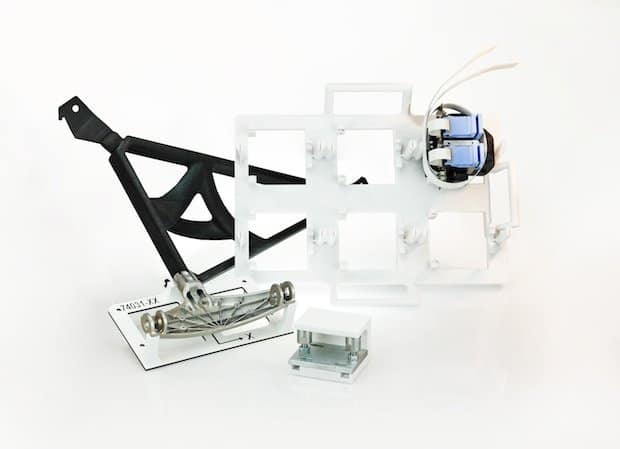 As printed jigs and fixtures become increasingly popular within the additive manufacturing industry, SYS Systems is set to launch the brand new Manufacturing Aids Package for the Fortus 900mc Production 3D Printer, which has been designed to help manufacturers to produce custom tools on demand with ease. Containing three canisters of new SR-35 advanced soluble support material and six canisters of thermoplastic build material, including our newest engineering-grade Nylon 6 thermoplastic material alongside PC and ASA from which there is a choice of ten colours. This materials and service package offers 40 hours of design work to make the creation and production of a first tool easy. Another addition to the material scope- Nylon 6 offers the combined strength of both ULTEM 9085 resin with the strength and durability of Nylon 12. As one of the most commonly used thermoplastics used in conventional manufacturing methods, Nylon 6 is specifically formulated to maintain the balance between mature Nylon 6 properties and controlled shrinkage effects during the Fused Deposition Modelling three-dimensional printing process. The new SR-35 soluble support material offers a faster dissolve time with an extended bath life compared to its predecessor the SR-30 material. Kit extras include extrusion head tips, build sheets and the option for Fortus 900mc owners to extend their factory warranty by two years. You will be able to witness our advanced technology at this years TCT Show where SYS Systems will be conducting live demonstrations on stand G18 where our dedicated expert team will be on hand from the 28th to 29th September.